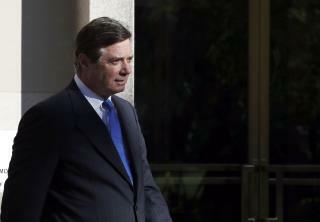 (Newser) – If Robert Mueller has his way, Paul Manafort will likely spend most, if not all, of his remaining days in prison. The special prosecutor released part of a sentencing memo Saturday that was unsparing in its judgment of the 69-year-old. Federal prosecutors say Manafort "repeatedly and brazenly" broke laws over the years, on everything from “garden-variety crimes such as tax fraud, money laundering, obstruction of justice, and bank fraud” to “more esoteric laws” on foreign lobbying, reports the Washington Post. He also lied to everyone in his path, including to investigators after his guilty plea, showing a "hardened adherence to committing crimes and lack of remorse," says Mueller's team in the memo to Judge Amy Berman Jackson of the US District Court in DC. In other words: Mueller thinks he deserves no mercy at sentencing. He needs SOMETHING to show for a FAKE Russia Collusion Witch Hunt that went on for 2 years and cost $40M.. For $40M All you Liberals could get was a Recommendation that Manofort broke a bunch of laws that 90% of Politicians and Businessmen break EVERYDAY!!!.. Mueller's "probe" is bent and cankered, Syphilitic, limp, and chancred. But let him push, and grind, and leak. His "money shot" will be quite weak.